Harold Corbet Soden (pictured left, Marlborough College website*) was born on 12 July 1896 at West Hill Lodge, Epsom. 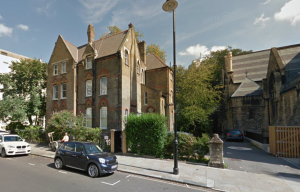 His father, Alfred Soden Soden (1865-1938) was educated at Marlborough College (1879-1883) and then at Trinity College Cambridge. His mother, Emily Clara Soden, née Cliff (1868-1960) came from a wealthy family in Yorkshire. 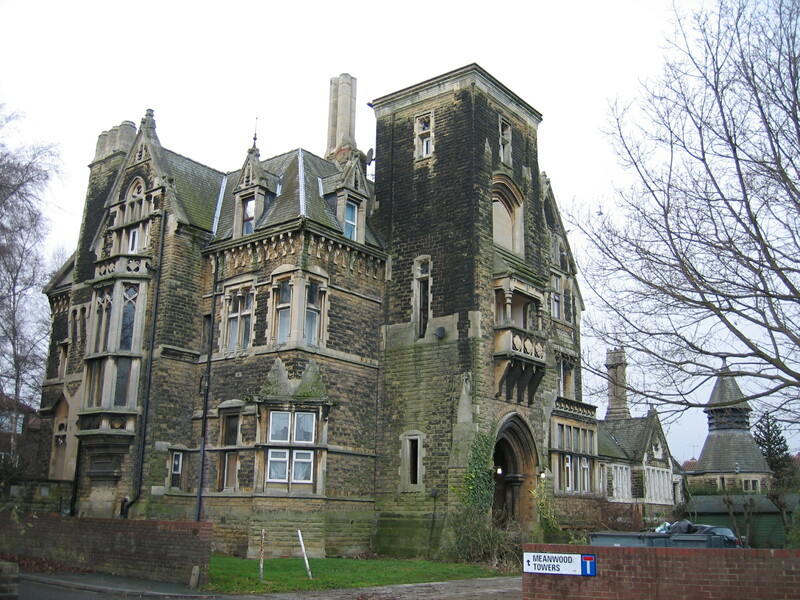 Her father was the owner of an ironworks and colliery in Chapel Allerton, Leeds, and they lived at Meanwood Mansion (now Meanwood Towers). Emily and Alfred married at Meanwood, Leeds, in 1891 and had four children: Clarice Thelma, born 1893 in Billericay, Essex; Leslie Corbet, born 1895 in Epsom, Surrey; Harold Corbet, born 1896 also in Epsom; and Nancy Valerie, born 1904 in London. Harold and Leslie’s fates were interlinked – they were close in age and joined the same regiment – so their stories are told together here. 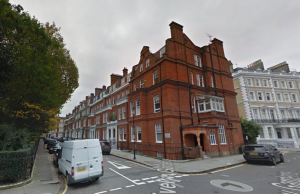 In the 1901 census, Harold and Leslie were at 22 Collingham Road, Kensington, London, with their sister Clarice, their governess Florence Secker, and a nursemaid, cook, parlourmaid and housemaid. (Their parents Alfred and Emily have not been found on the UK census for that year; perhaps they were travelling abroad?) When Nancy was born in 1904, she was christened in the church next door, St Jude’s, at 24 Collingham Road. By the next census in 1911, the family had moved to 31 Evelyn Gardens, South Kensington. Parents Alfred and Emily were recorded here with Nancy, then seven years old. Emily’s sister Evelyn was staying with them, Florence was still the family’s governess, and there were five servants including a cook, housemaid, parlourmaid, sewing maid and kitchen maid. 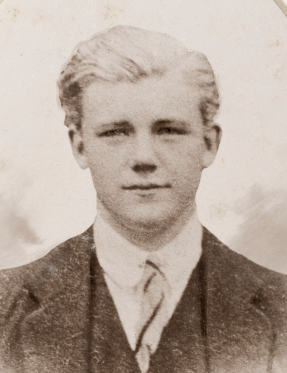 Harold and Leslie were away at school, at Marlborough College. Around this time the family bought their first property in Datchet, Norham in Montagu Road. (Alfred Soden appears there in Kelly’s Local Directories from around 1911.) It’s thought that Datchet was initially the family’s country retreat. 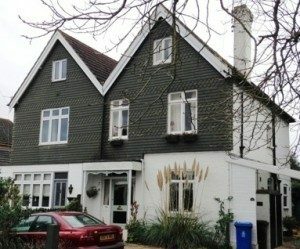 They eventually owned two houses in Datchet, the second being The Hall which they owned from the early 1920s. 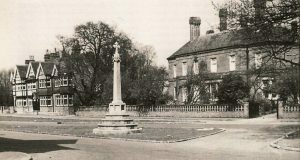 The Hall faced onto Jubilee Green and has now been replaced by the houses of Hall Court. (See Janet Kennish’s Datchet History website for more information about The Hall.) Alfred and his sons, Harold and Leslie, were founder members of Datchet Cricket Club. At Marlborough College, the brothers joined the Officer Training Corps and when war broke out they applied for a commission in the army. They gave their address as 31 Evelyn Gardens. In October 1914 their uncle, Herbert Theodore Cliff, a Major in the 3rd West Yorkshire Regiment, was killed in action in France, leaving the young men with no illusion about the dangers they would be facing. Both men received a commission into the 4th (Special Reserve) Battalion of the King’s (Liverpool) Regiment. After a period of officer training, Harold left for France on 5 April 1915 and he was initially attached to the 1st Battalion of the King’s Shropshire Light Infantry. 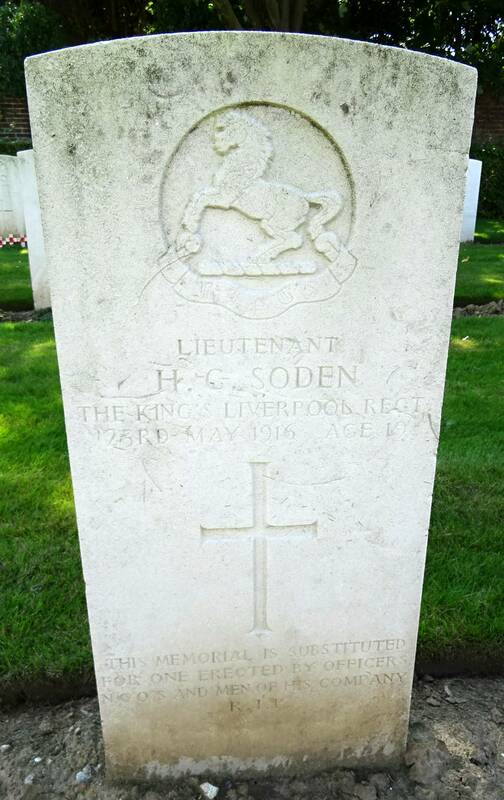 After a period of convalescence, Leslie returned to the front and Harold joined his brother in the 4th (Special Reserve) Battalion of the King’s (Liverpool) Regiment in July 1915 as a Lieutenant. Both men survived the Battle of Loos in September/October that year. The Regimental Diary records that, in March 1916, Harold completed a Lewis Gun course then in late April he attended Grenade School. From April to June 1916, the 4th King’s were in the line north of Loos or in the ‘rest’ and training areas behind the front line. The trenches they occupied were mostly in the Cuinchy sector. This was a noisy part of the line frequently subjected to bombardments, trench-mortaring, sniping and machine-gunning. There were frequent casualties even though the 4th was not engaged in any large-scale attacks at that time. After his death, Harold’s personal items were returned to his family. These included a leather pocket photograph frame and a badly-damaged watch, a tobacco pouch, cigarette case and a broken pipe, a bank passbook with two cheque books, a letter, and his identity disc and chain, collar titles and cap badge. Harold was originally buried in Cambrin Military Cemetery, often called Cambrin Chateau Cemetery, which is about 24kms north of Arras. (During WWI, the village of Cambrin was only about 800m from the front-line trenches and housed brigade headquarters.) 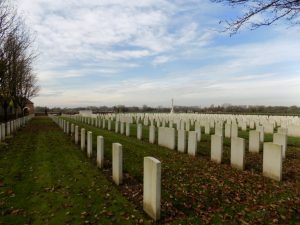 The cemetery was begun in February 1915 and was used as a front line cemetery until December 1918. It contains 816 Commonwealth burials of the First World War including many graves of the Battle of Loos and in row D there are buried 57 officers and men of the 1st King’s (Liverpool Regiment) who died on the first day of the battle, 25 September 1915. Harold was buried in row C, grave 9. His headstone is visible in the image below. (Row A is on the far left of the picture then, moving to the right, rows B then C are pictured.) The inscription at the foot of his headstone reads “This memorial is substituted for one erected by officers and men of his company”. He was awarded the 14-15 Star and the British and Victory Medals. The Windsor & Eton Express reported, on 22 September 1917, that Leslie, by then a Captain, had been awarded the Military Cross for conspicuous gallantry in action. The London Gazette provided additional information: when Leslie’s assault was held up by obstacles and machine guns, he ordered the men around him to dig in where they were. He maintained his position for five hours under intense fire. In 1918 he was promoted to the rank of Major. 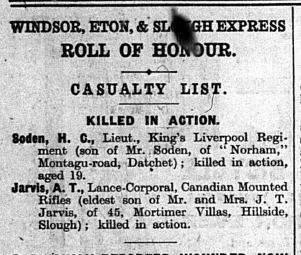 Soldiers Died in the Great War, published in 1921, records Harold’s parents’ address at that time as The Hall, Datchet. 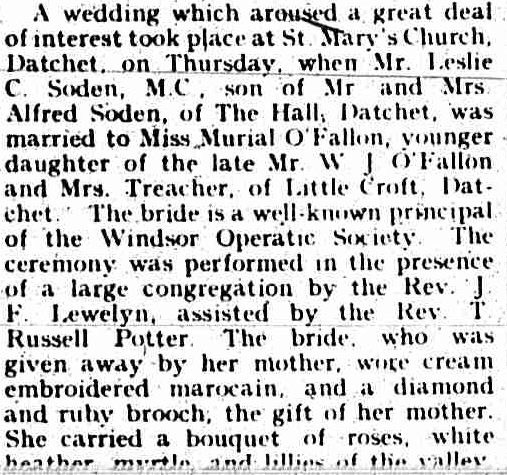 In May 1925, Leslie married Murial O’Fallon, daughter of the late Mr W J O’Fallon and Mrs Treacher of Little Croft, Eton Road, Datchet. 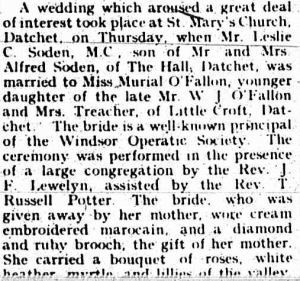 An article about their wedding in the Slough, Eton & Windsor Observer on 23 May noted that Murial was a well-known principal of the Windsor Operatic Society. The couple married at St Mary’s Church in front of a large congregation. According to the archives at Marlborough College, Leslie became a lawyer. College records also indicate that he was an expert apiarist, and Bee-Master of the Scottish Bee-Keepers Association. 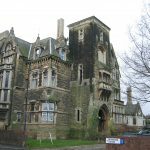 In 1933 his address was Middle Brow, East Dean, Eastbourne, Sussex. From 1947 Leslie listed his address as Norham, Datchet, until his death in 1972. Around this time, he was active on Datchet Parish Council. 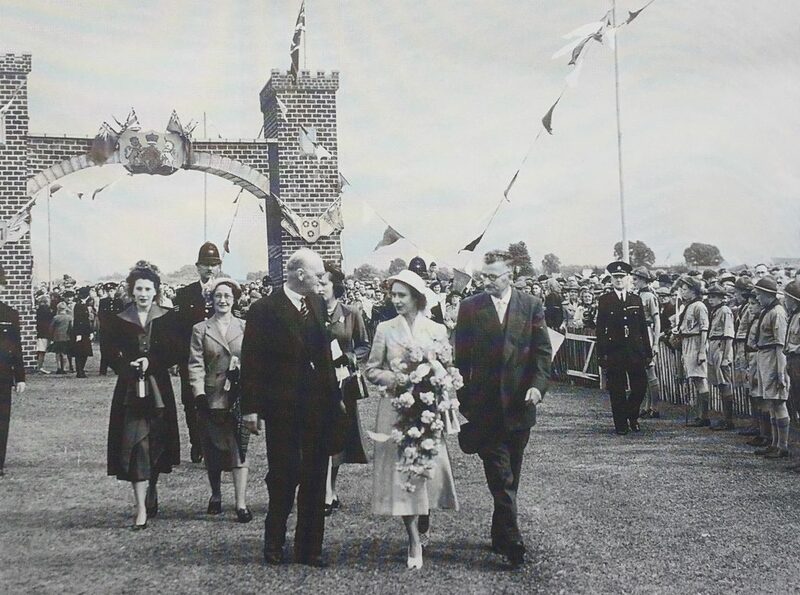 In 1951, Major Leslie Corbet Soden MC JP accompanied Princess Margaret when she attended the official opening of Datchet recreation grounds. (For more information see Datchet Past written by Janet Kennish.) Leslie died in 1972. *Marlborough College Website: This image was attributed to Leslie Corbet Soden but was placed alongside Harold’s military details. The image is actually of Harold. This has been confirmed by his niece. Harold and Leslie enlisted at the same time and were in the same regiment. They were also in the same house, Cotton House, at Marlborough College.